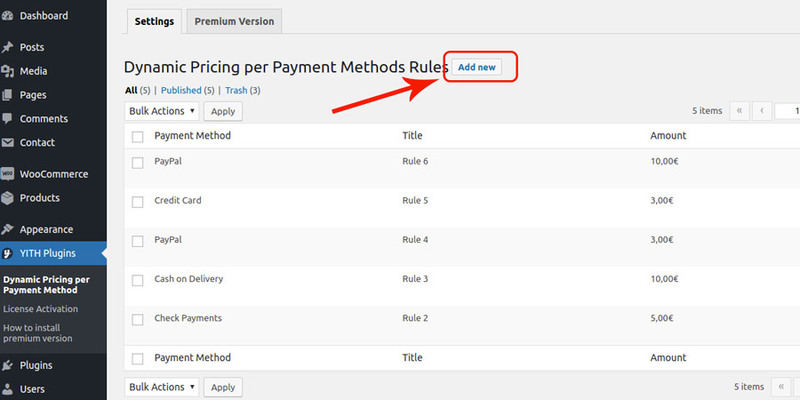 The free version of YITH Dynamic Pricing per Payment Method for WooCommerce allows associating a different discount for each payment method available in the shop. 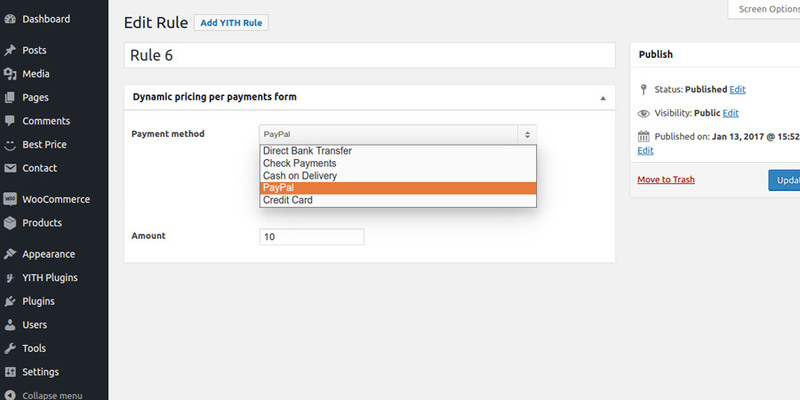 You need to create a new payment rule for each payment method from the plugin settings dashboard in YITH Plugins -> Dynamic Pricing per Payment Method. Select the payment method and insert the discount you want to associate. 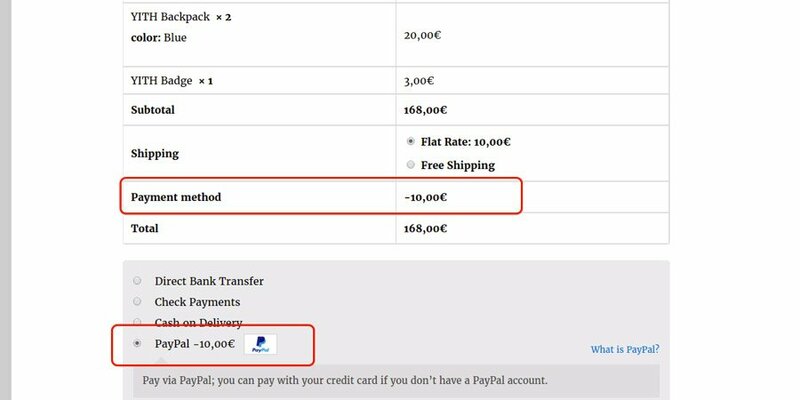 Assuming we provide a €10 discount to those choosing PayPal as a payment method, the cart total will be automatically increased at the checkout as shown in the following image.